Dinner at hotel in Baikonur Cosmodrome. 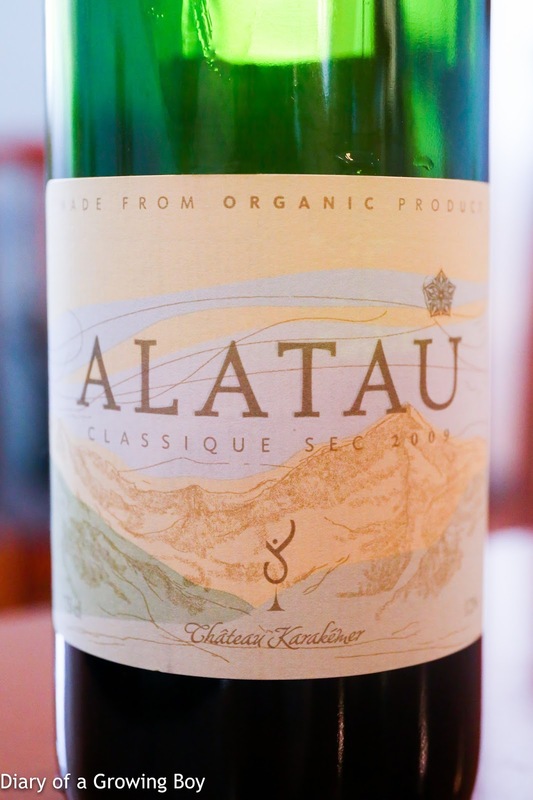 2009 Chateau Karakemer Alatau - warm was too warm and likely has been cooked by the hot weather. Very soft on the palate but not too thin, although not much body or finish. Merlot, Cabernet Franc, Cabernet Sauvignon, and Braucol vines planted in 2003. Full post on the day is here.